Our development team have been working hard and we are delighted to announce Version 3 of our JobAdder integration and the Referoo action button. In the neverending pursuit of an even easier way to request references you can now simply select a candidate and use the JobAdder action button to start and track the whole process. Using JobAdder's brand new api feature (great work JA dev team! ), you can now manage the entire Referoo process from within JobAdder and all notes and the resulting references are uploaded automatically, you'll never have to leave the JobAdder platform again. • Start a ref check in the Candidate OR the Job Applications tabs. • Even start a ref check form the Job candidate shortlist. • Add the single Referoo column to any grid to track the progress of the reference. • One click integration, Referoo adds the actions for you. • Your references appear in documents as a reference note type to help with auditing. • Referoo updates JA notes as the references progress. Because we love our customers so much, all existing Referoo JobAdder users will automatically be upgraded the latest version for free! 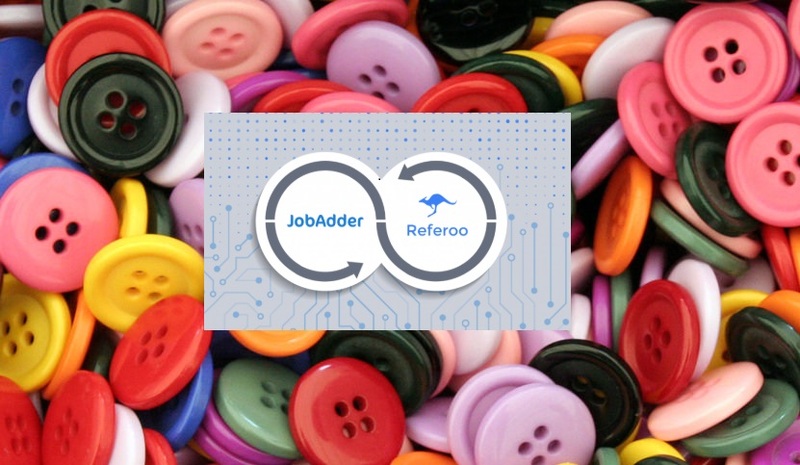 If you use JobAdder and are not yet on board with Referoo, get in touch and we'll give you a free demo.